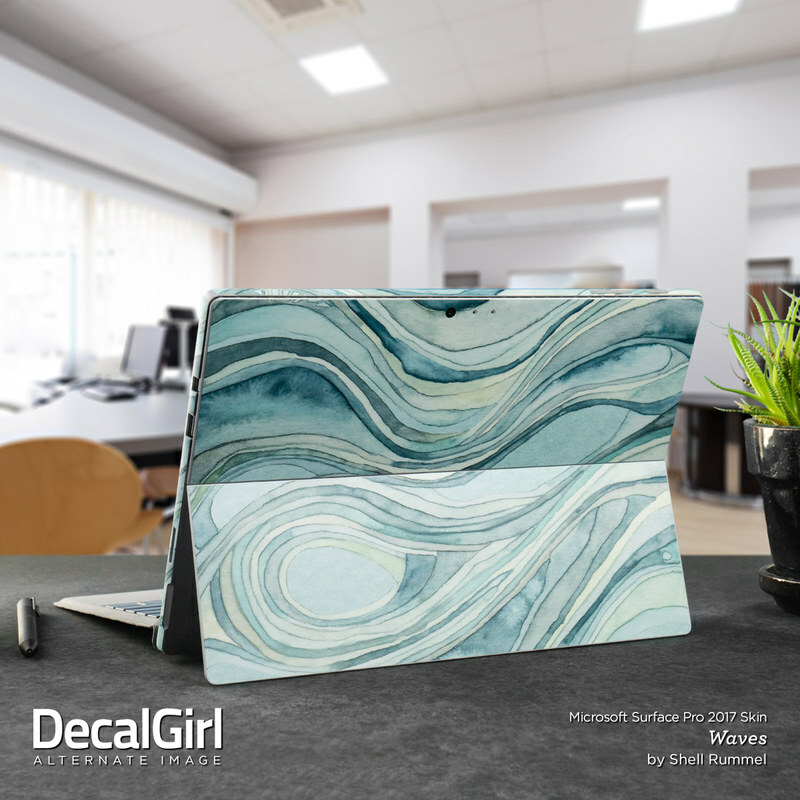 Remember, we offer over 1000 pieces of art as skins for your Microsoft Surface Pro 4/Pro 2017. Excellent product. I bought a matte skin for my surface pro 4. At first, there were some small bubbles after installation, BUT after a week they naturally disappeared and I was left with a smooth, flawless application! (I think this was due to the channeled adhesive and a bit of heat given off by the tablet). Really happy with the result! This result only applies to the back and the side decals; I didn't put on the front frame because I already had a glass screen protector on the front. Will definitely buy from here again in the future. The matte finish is great. Easy to put on and stays on so well. This is my second skin that I've bought and I really love them. 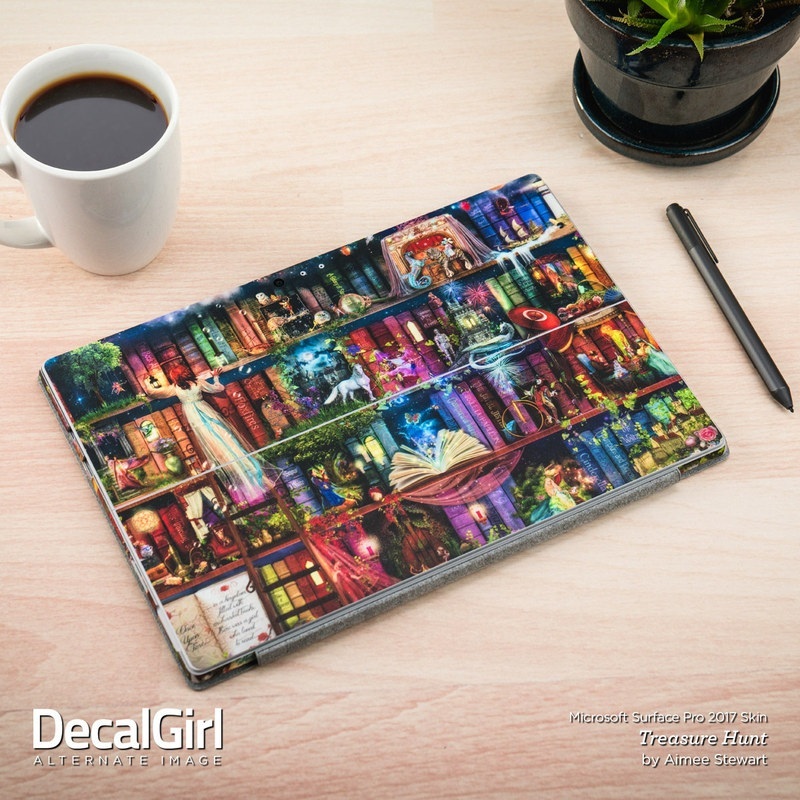 I ordered a custom skin for a Surface Pro 2017. 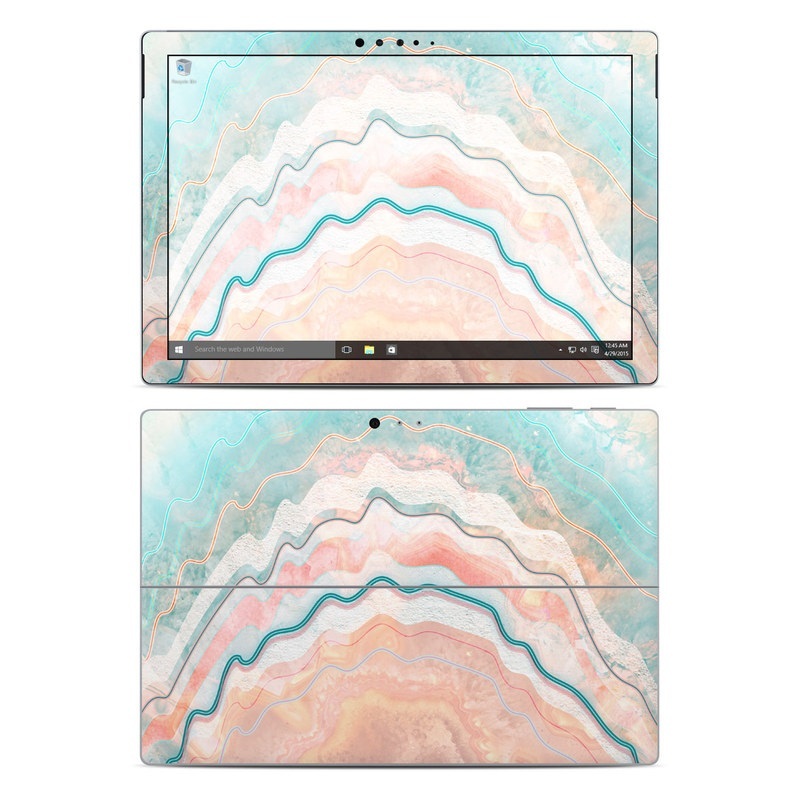 Choosing the device, it only shows Surface Pro 4, which has the same specs as the Surface Pro 2017 - but the site doesn't explain this. I uploaded my own Frida Kahlo design, and it's good that it shows an exclamation point "!" if the image resolution is small - this is a reminder that the end product might come out pixelated even if the image in the computer doesn't show it. I then made the image resolution larger, and the exclamation point went away. I chose high gloss, and it came out really nice. The skin looks professionally made and things aligned well. 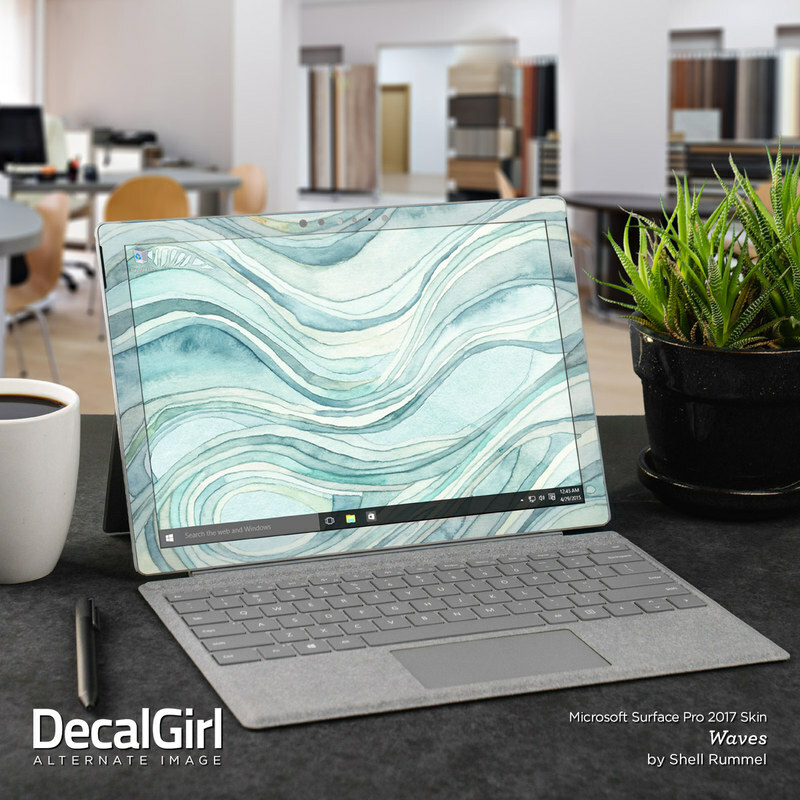 Decalgirl is the only place I came across that includes the skin on the sides and at the front. I downloaded the free background image, and it aligned with the skin at the front. The application was very easy. I love the new, customized look of my Surface Pro 2017. 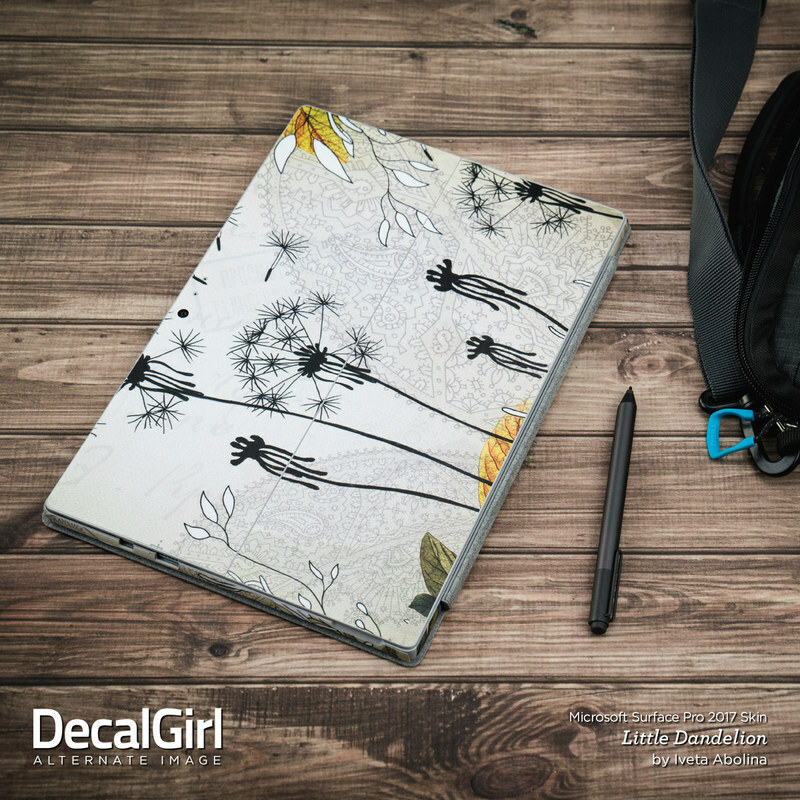 I highly recommend decalgirl.com. Beautifully vibrant design, and so easy to apply! Went on super smooth, no bubbles or bumps to worry about, and having every detail pre-cut was so helpful. The pattern adds wonderful personality to an otherwise boring device, and the matching wallpaper was a great bonus. This skin looks fantastic. I get comments on it all the time! Fit perfectly on my SP4. It seems like the SP4 skin was easier to apply than the SP3 skin. Also really love all of this artist designs. 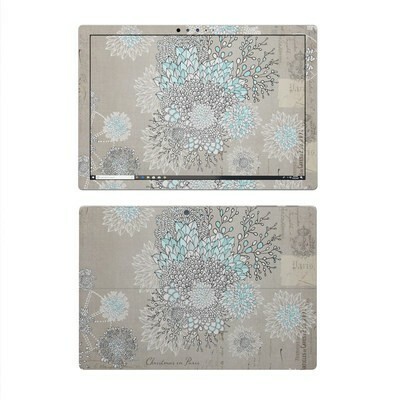 This matches the skin on my iPad and my iPhone. I'm a realtor so its a nice skin that doesn't offend anyone. It's such great art I get so many compliments on it! Also my boyfriend has the same surface pro and this helps us not to mix them up! This was my first skin purchase. It was really easy to install and looks great on my Surface Pro. I especially love how it looks with the matching wallpaper. I have had the skin on now for a couple of months and it still looks brand new. The art is beautiful and very true to what was pictured. It would be nice if it had the microsoft logo option to order with the cut out. 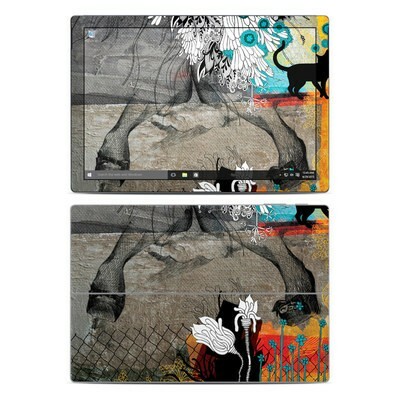 Like the Macs skins. The skin was super easy to position and apply plus it made my Surface Pro 4 distinct and noticeable. I bought this for my son's new Surface Pro 4 and he loves it. It goes really well with his navy keyboard cover. Beautiful skin and wallpaper! This gave my Surface Pro 4 a cool eerie sci-fi Twilight Zone look I was going for. 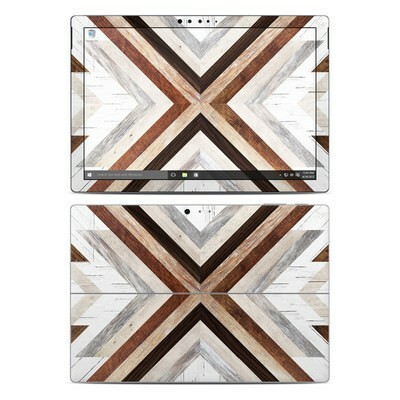 The black/white/greyscale design is quite striking, and for those not wanting a busy look on the front, the bezel and edge skins are a predominantly dark grey color, making it go well with any other wallpapers you might use while the Surface Pro 4 keyboard covers the bottom bezel when attached. Looking forward to getting another design (perhaps Vlad Studio's colorized version of this one) when I'm ready to change my system's look.